Home / Blog / Spiders Surprise Shoppers in the Produce Aisle. Is Your Store Safe? Spiders Surprise Shoppers in the Produce Aisle. Is Your Store Safe? Reaching for a handful of fresh fruit is a small step many people take when trying to make healthy choices, but for a woman in Vermont last month, things backfired when she was bitten by a black widow spider that was hiding in her bag of grapes. 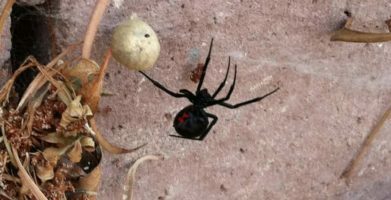 The following week, another black widow was found in a bag of grapes in Minnesota. 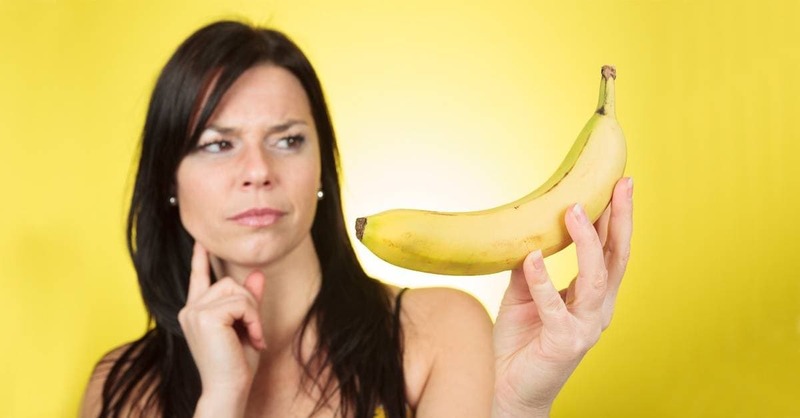 As if second-guessing grapes isn’t bad enough, a quick search for “spiders in fruit” turns up multiple reports of spiders found in bunches of bananas too! News headlines may have you in a panic, but instances like these are the exception, not the rule. Even if you do find a spider in your groceries, most spiders are not venomous and do not pose a threat to people. 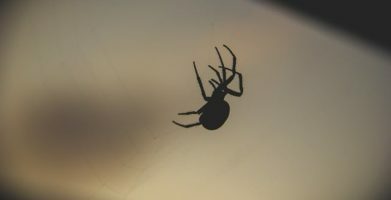 Although it is undeniably creepy to find a spider lurking in your produce basket or camping out on your kitchen counter, spiders won’t bother you if you don’t bother them, and very few spider bites result in death. Knowing which foods are more likely to harbor spiders, and how you can avoid them without having to give up your favorite fruit will ease anyone’s anxious mind. What’s with these spiders — do they have a sweet tooth? Enjoying fresh, ripe grapes or bananas all year long means that you’re eating something that was most likely grown and shipped from someplace else. Produce pests, like spiders, are sometimes accidentally packed into cargo containers along with your fresh fruit and shipped to supermarkets around the world. The good news is that survival rates are slim for spiders once they are removed from their natural environment. 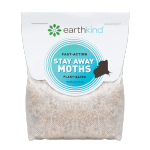 They thrive in places where they can easily find food, meaning other insects. 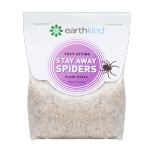 Fortunately, a grocery store doesn’t offer much to eat if you are a spider, and hopefully, your home doesn’t either. The spiders of concern (and the ones that make news headlines) are black widows in grapes and the Brazilian wandering spider in bananas. Black widows are usually very happy spinning their webs amongst the grape vines and fences of vineyards. They are native throughout the United States, being found mostly in the South and the West. These spiders are quite recognizable with their round, shiny, black bodies and a red hourglass marking on their underbelly. However, they are about the same size and shape as a grape, causing them to blend in with their surroundings a little too well if you’re not careful! The Brazilian wandering spider is trickier to identify. Wandering spiders are venomous, but they are very similar in size and appearance to a few other “banana spiders” like huntsmen spiders, which are not poisonous. These spiders would much rather stay in their tropical homes than find themselves in a foreign place, but sometimes they are accidentally transported with a shipment of bananas. Spider stories aside, fresh fruit is still safe. Don’t let the thought of finding a spider in your fruit make you neglect an important part of a well-balanced diet. With the increased popularity of organic foods and natural products, many farmers have started using integrated pest management plans. That means that instead of just spraying a chemical pesticide all over the fields growing your food, they are turning to natural alternatives. 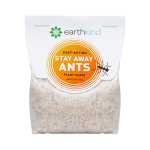 Since spiders eat insects, they are about the most natural form of pest control in the world. Spiders living amongst fruit in the field is a good thing — the problem is when they are accidently sent to the store in a shipment, and end up at home with you. Even though it does happen occasionally, produce suppliers and grocers do their best to prevent pests from making it to stores and eventually homes. Most produce is treated with chemicals and/or washed before being shipped; it is shipped at very low temperatures to preserve freshness, which is not favorable for spiders. Making sure you thoroughly wash your fruit before you eat it will give you a chance to inspect it for any stowaways. What should you do if you see something suspicious? If you see a spider in your produce, without putting yourself in harm’s way, try to catch it in a container. It would also be helpful for the store to know what kind of spider was transported in a fruit shipment so they can respond appropriately and prevent other people from coming into contact with any stowaways. If the spider has bitten you, doctors will be able to provide better treatment if they know which spider they are dealing with. Seeing a spider doesn’t need to cause a panic, try to remain calm and remember that there are actually very few venomous spiders in the world, and even they are unlikely to try and bite a person unless you are about to squish them. Even in the event of a poisonous spider bite, healthy adults are usually just fine — there is a greater risk for very young, old, or sick people, so they should seek medical attention. If you encounter a spider, check out the CDC guidelines for what to do about venomous spider bites. Our last piece of advice is to make sure your home is pest free so that if a spider should find itself in your home, it won’t have a food source and won’t want to stay. Using a natural spider repellent, like Stay Away® Spiders won’t be able to stop stow away spiders in fruit shipments, but it will stop spiders from wanting to stay inside your home. What’s with these spiders -- do they have a sweet tooth? 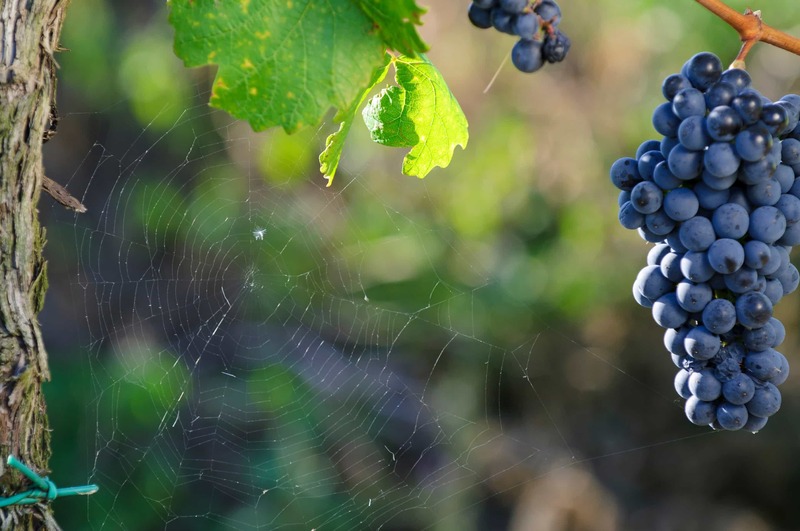 Black widows are usually very happy spinning their webs amongst the grape vines and fences of vineyards. They are native throughout the United States, being found mostly in the South and the West. These spiders are quite recognizable with their round, shiny, black bodies and a red hourglass marking on their underbelly. However, they are about the same size and shape as a grape, causing them to blend in with their surroundings a little too well if you’re not careful! Spiders living amongst fruit in the field is a good thing -- the problem is when they are accidently sent to the store in a shipment, and end up at home with you. Even though it does happen occasionally, produce suppliers and grocers do their best to prevent pests from making it to stores and eventually homes. Most produce is treated with chemicals and/or washed before being shipped; it is shipped at very low temperatures to preserve freshness, which is not favorable for spiders. Seeing a spider doesn’t need to cause a panic, try to remain calm and remember that there are actually very few venomous spiders in the world, and even they are unlikely to try and bite a person unless you are about to squish them. Even in the event of a poisonous spider bite, healthy adults are usually just fine -- there is a greater risk for very young, old, or sick people, so they should seek medical attention. If you encounter a spider, check out the CDC guidelines for what to do about venomous spider bites. Our last piece of advice is to make sure your home is pest free so that if a spider should find itself in your home, it won’t have a food source and won’t want to stay. Using a natural spider repellent, like Stay Away® Spiders won’t be able to stop stow away spiders in fruit shipments, but it will stop spiders from wanting to stay inside your home. string(67) "Spiders Surprise Shoppers in the Produce Aisle. Is Your Store Safe?"